There have been some great episodes of TV so far this year. From new shows like the drama juggernaut Riverdale to older shows that continue to kill it like Bob’s Burgers, there’s been a lot to love in 2017. Today I’m kicking off my list of the 50 best TV episodes of 2017. For this episode, the Magic City team traveled to TMI’s hometown. The smalltown setting allowed for some fun bits like when they realize they can test the entire town for a toxin. It also stirred up some feelings for TMI that gave the subplot some nice emotional depth. Plus, Beaumont Rosewood and Ryan Slade each struggled with their feelings about Slade donating a kidney to Rosewood. This episode all led up to the ending in which Jane Chapman opened up to Madeline Mackenzie about being raped. Jane’s reluctance to talk about it and the way she tried to brush the experience off rang true and felt all too resonant. The deep connection these two women quickly developed was the heart of this show and that relationship was on full display in this episode. This episode departed from the main plot and told the story of the early days of the virus, from the perspective of a woman named Pamela Brinton. The Last Man on Earth always does a great job with these standalone episodes. Kristen Wiig was perfectly up to the task of playing a new character who had to carry an episode that was practically a one woman show. In this episode, the crew attempted to enter Pink Diamond’s Zoo. Everyone was at their silly best as they attempted to blend in. Their failed efforts to act like standard gems and fill the roles they were built for brilliantly highlighted a core theme of this show. It showed that these gems can’t be what their society expects them to be, even if they tried. And, of course, that that’s exactly what makes them so charming. This episode focused on the romantic relationships of Degrassi: Next Class. Three couples– Frankie and Jonah, Miles and Lola, Zoe and Rasha– were in very different situations, but each relationship was handled beautifully. Frankie’s obsessiveness over Jonah perfectly captured how high stakes everything feels in early relationships. Miles’ need for Lola’s support and the judgement placed on it created a situation like nothing I’d seen on TV before. Meanwhile, thank God, Zoe and Rasha expressed their feelings for each other openly without a painfully drawn out will-they-won’t-they, which was completely the right choice for a lesbian relationship in 2017. This episode showed a completely defeated Selina Meyer. Everything built up to her announcing that she wanted to run for President again. She expected complete support. Instead, she got horror and reluctance, which made for a painfully funny episode. This is the episode where all the high school boys agree to help Fred Andrews’ with his business. Later, they take it upon themselves to infiltrate a biker bar. Archie Andrews’ boundless optimism and bravado is at its peak in this episode, especially with little touches like the fact that he wears his Letterman’s jacket into the biker bar. Oh, Archie. This episode introduced the Baudelaire’s paranoid Aunt Josephine. She’s a great character, both for drama and comedy, played brilliantly by Alfre Woodard. Her caution drew attention to the Baudelaire’s bravery. The group played off each other well. 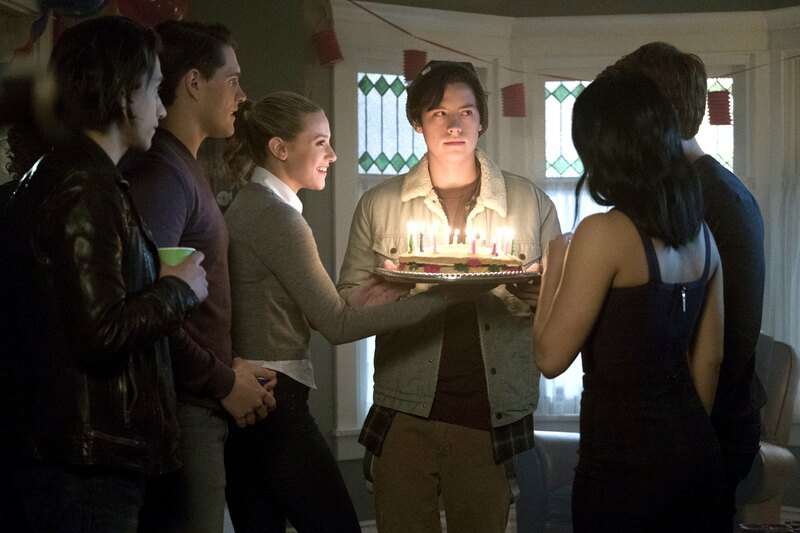 This is the one where all Jughead Jones wants for his birthday is to go to the movies with his best friend and for some reason he can’t have it. The result was his now infamous “I’m a weirdo” monologue. Laugh all you want, the boy’s right. Check back tomorrow for more of my choices for the best TV episodes of 2017.